Oak Black and White Monoprints A series of monoprints I recently completed using wood cuts. I love how every pull yields different results. 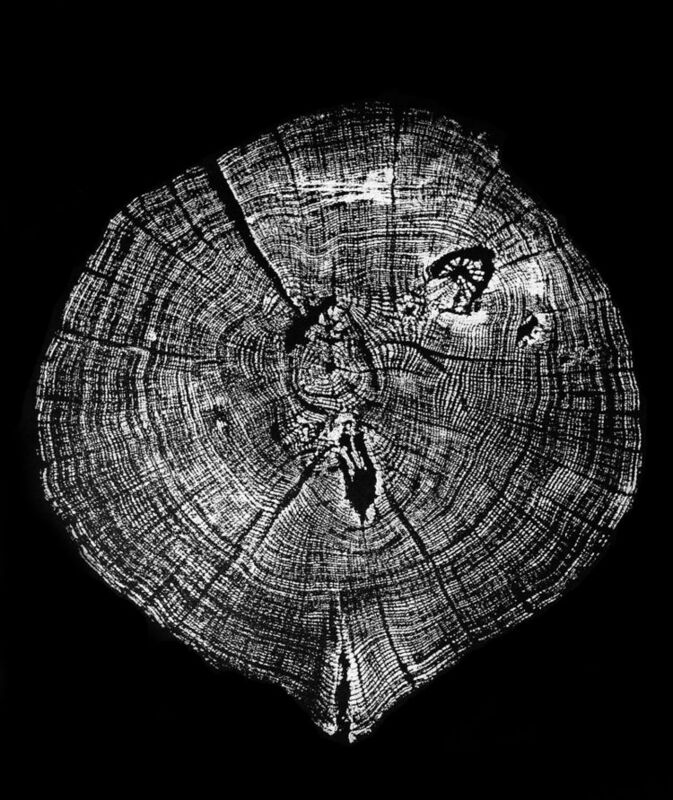 The tree slice was cut, sanded, and then burnt with a hand torch to raise the grain. 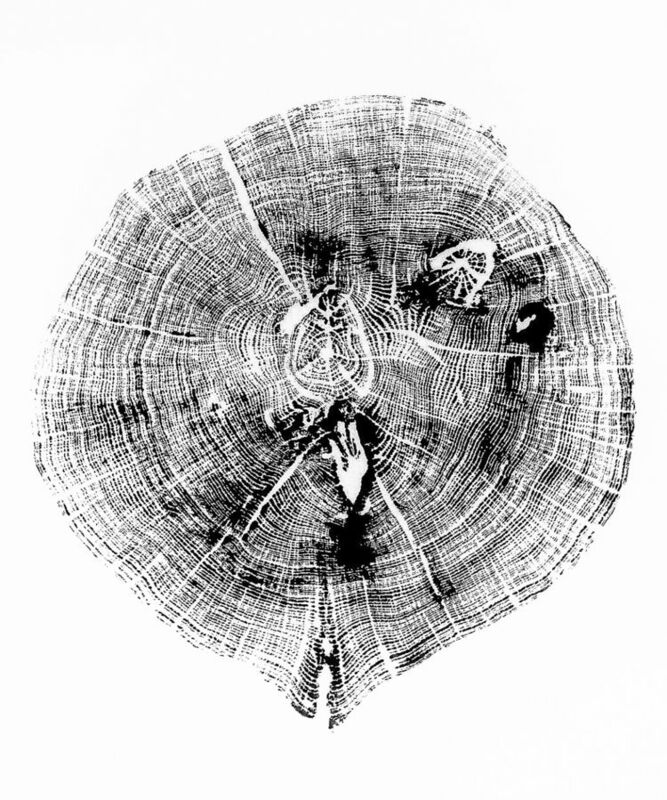 Then a wire brush was used to separate the early wood from the late wood, creating an indentation between the wood growth rings. From there, ink is applied to the block and finally pressed onto paper.